After the Thanksgiving holiday, I sat down with Solver’s Chief Operating Officer (COO) Corey Barak to talk about the importance of business intelligence (BI) for organizations. Corey is our “Chandler” from the television sitcom, Friends. Everybody admires him for his sarcastic humor, intellect, and his sound judgment. Corey manages the day-to-day operations and focuses on maximizing the service quality to our customers and partners. He has been in the BI industry for 20 years, and started his career at Solver in 1999 as a Senior Business Intelligence Consultant. Outside of Solver, he is a father of two children and a husband. As 2016 is coming to a close, I was pondering on the New Year, and the kind of impact BI may have on companies. As an author of leading BI books, including “Process Improvement for Effective Budgeting and Financial Reporting” and “BI360 Book – The Ultimate How-To Guide,” I thought Corey would be the appropriate person to pick his brain about the importance of BI for any company. Watch the interview below or read on for the transcript of our conversation. Barak: “The first step is to determine what impacts your business – the revenue growth and profitability -and determine how to measure that. Some manufacturing companies may have areas around manufacturing speeds or getting things out to the market quicker. Find those Key Performance Indicators (KPIs) that drive your revenue growth. If you company doesn’t know what they are, the company needs to find out what they are. 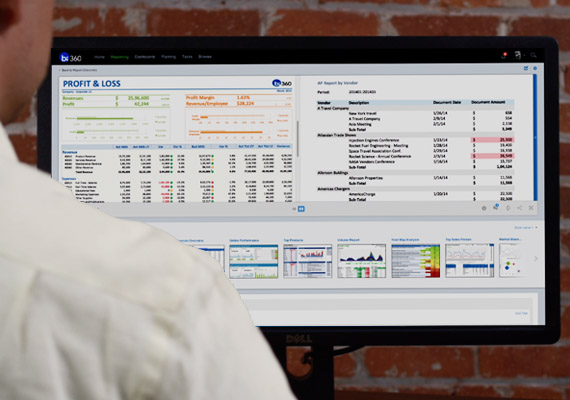 If they don’t have the data to determine their KPIs, then it is time to look into a BI tool that can bring in data from disparate systems and display them in structured reports and dashboards that are quick and easy to view. Make sure you’re making progress and improving. If you’re not improving and you’re actually declining, this is where you can start reviewing your strategy as things aren’t going the way you planned. Once it is finalized, then determine if this data is easy to access or it takes time to put this together. Bring that data in, calculate the KPIs, and compare it to your budget or your forecast every month. *Side note – A KPI stands for a key performance indicator, which is a business metric used to evaluate factors that are important to the success of a company. For example a KPI can be gross margin, turnover, net income, sales by salesperson, and more. There are thousands of KPIs you can use. The key is to find what is important to your company and industry. Hopefully, this conversation is helpful for your BI needs and for your organization, no matter the size. On November 1, Microsoft officially released not just one new version of Dynamics, but two. And there’s the element of moving away from 4 different products and toward one entity or umbrella that has two different offerings, but more importantly, Microsoft Dynamics is moving to the cloud. What does it all mean for the traditional, on premise implementations of Microsoft Dynamics AX, GP, NAV, and SL? How do other Microsoft products factor into this development? What should customers know about connecting some on premise systems, like Business Intelligence applications, to Dynamics 365? I had the opportunity to have a hearty cup of coffee and conversation with Solver CEO Nils Rasmussen about this major development from Microsoft and the impact it will have on both the technology and business worlds. Watch the interview below – or read on for the transcript of our conversation.